In an earlier posting, I mentioned that Lobsang Gyaltsen, the chairman of the Tibet Autonomous Region (TAR) promised some Nepali officials visiting Tibet that China would expand a rail service to Nepal, once the train reaches the southern city of Shigatse. The Nepali delegation had also requested China's help for the construction of a line from Kathmandu to Lumbini, the birthplace of the Buddha near the Indian border. One step has now been made by crossing the Yarlung Tsangpo (Brahmaputra), near Shigatse. 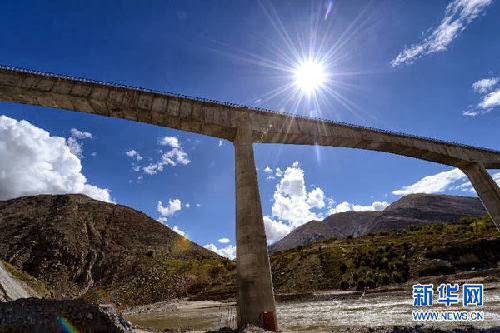 It means that the train will soon reach Shigatse, the capital of Tsang and second largest town in Tibet; then the ‘extension’ to Nepal can begin. Deng explains that the construction of the No.1 grand bridge was delayed due to the windy weather from October to May, the bridge being located in ‘a large wind gap’. Further, the construction faced the ‘the worst flood in 50 years’. The Lhasa-Shigatse 253 km long railway started in 2010. The railway passed through one of the canyons of the Yarlung Tsangpo which is nearly 90 km long. 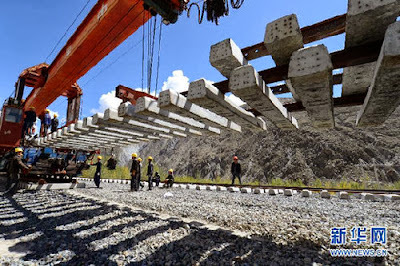 The Lhasa-Shigatse railway, with its 13 stations, will be operational in October 2014. The train, moving at some 120 km an hour, will carry an annual freight of 8.3 million tons. In another words, it will bring more tourists and goods to Shigatse, before heading south towards Nepal and east to the Nyingchi Prefecture (north of the Indian border of Arunachal border). Soon, Nepal will not be anymore an ‘enclave’ country ,depending on India to survive. Let us not blink the fact that Tibet is useful to China principally as a gate of entry to India. Sooner or later the attempt will be made to threaten us. What exactly along the 1300 miles of the new frontier the thrust will come it is too early to say. But Nepal, with sixteen railroads leading directly into India from her borders, appears to be the most likely objective. There may not be direct attack at first, for the Gurkhas are great fighters though their fighting abilities may not weigh against overwhelming number and better equipment. What is more likely is a Communist penetration of the existing popular movements a further working up of internal disturbances dividing the political structure as well the soldiery, and then the call by one party to China for aid. One Party has already called China in; the Middle Kingdom will be able to send more and more civil and military material 'help’ to the Himalayan State …and perhaps millions of Chinese tourists as a bonus! For India, it means that 1,439 km will have to be added to the lenght of its border with China. Punatsangchhu-I Hydroelectric Project (PHPA I) is the first stage of an initiative taken by the Royal Government of Bhutan (RGoB) and the Government of India (GoI) in May 2008 to generate 10,000 MW of hydro electricity by 2020. Will this bring more Happiness to Bhutan. Only the future will tell us, but in the meantime, two of the three large hydropower projects are facing serious glitches. The Punatsangchhu-I, with a capacity of 1,200 MW, is the largest hydropower project under construction today in Bhutan. This joint project of the Royal Government of Bhutan (RGoB) and the Government of India (GoI) is a run-of-the-river scheme, located on the left bank of the Punatsang chhu (river) in Wangduephodrang Dzongkhag in Western Bhutan. The Project will utilize a 357 meter gravity fall on a stretch of 11 km of the river course. On July 18, 2007, an agreement was signed between the GoI and the RGoB for implementing the project. 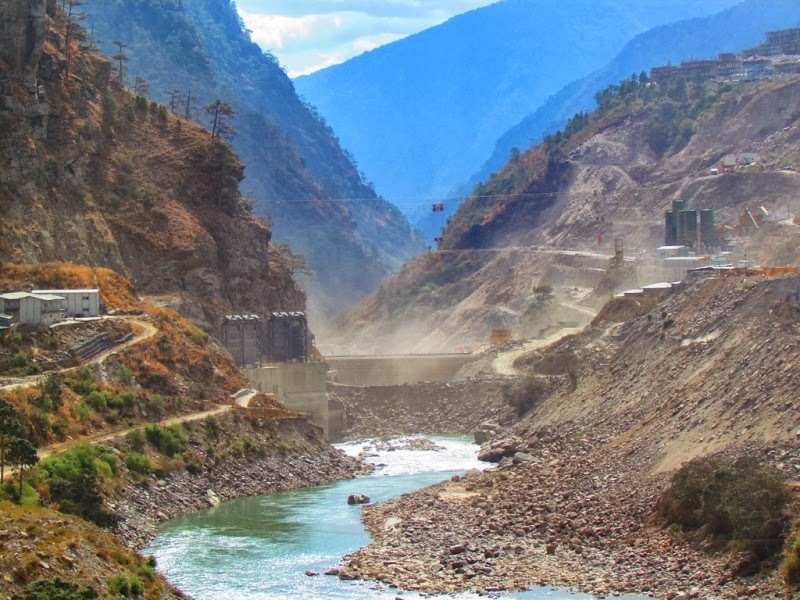 On October 5, 2007, the Punatsangchhu-I Hydroelectric Project Authority (PHPA), an autonomous body was set-up for the construction of the PHPA I. The sanctioned cost was then Rs. 35.15 billion for an installed capacity of 1095 MW (now it has been revised to 1200 MW). It will be funded by the GoI according to the following pattern: 40% grant and 60% loan (with a 0% interest p.a. repayable in 12 equated annual installments starting after the completion of the project). The Zero-Date (date of start) of the project was November 11, 2008. Two Diversion Tunnels, 11 m diameter, 2724 m long. Four Desilting Chambers, each of 330 m length x 18 m width x 24 m depth. Headrace Tunnel, 10 m diameter, 8.9 km long. 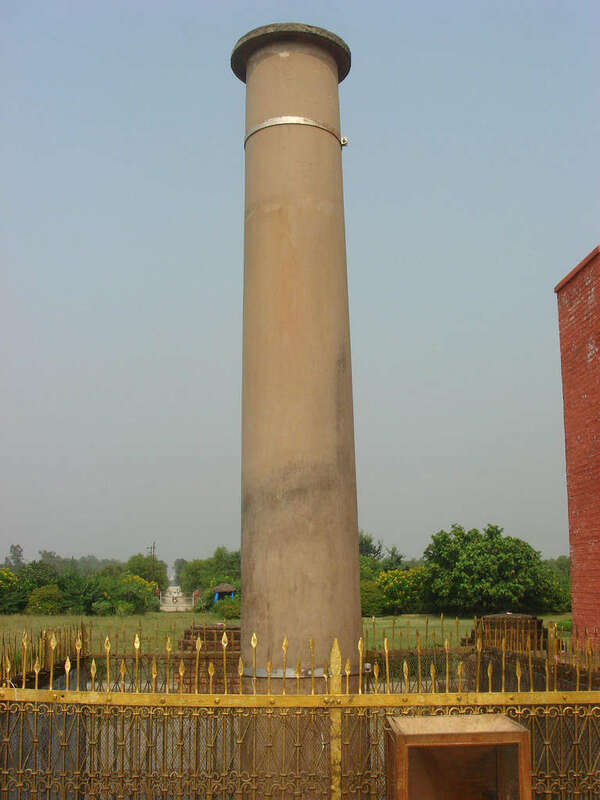 Surge Shaft, 24.5 m diameter 128.5 m height. Two Pressure Shafts, 6 m diameter 433 m long & 6 penstocks of 3.3 2 m diameter. Underground Power Station, 236.5 m x 22.9 m x 53 m size to house 6 turbo generators of 200 MW capacity each. Tailrace Tunnel, 10 m diameter 1.3 km long. Underground Transformer Cavern, 216 m x 14.7 m x 26. m size to accommodate 20 single phase generator transformers each of 13.8kV/400kV and 82 MVA capacity. Two Double Circuit 400 kV Transmission Lines, 186 kms length. WAPCOS Ltd. (a GoI Undertaking) are the engineering design consultants. Other organizations such the Central Electricity Authority, the Central Water Commission, the Central Water & Power Research Station, the Central Soil & Materials Research Station, the Geological Survey of India and the Survey of India could be consulted by WAPCOS. Construction of Diversion Tunnels, Dam, Intakes and Desilting Chambers; including associated Hydro-Mechanical (HM) works, awarded to M/s Larsen & Toubro (to be completed in 66 months). M/s Hindustan Construction Company will take care of the construction of Headrace Tunnel (from Surge Shaft End), Surge Shaft, Butterfly Valve Chamber, Pressure Shafts, Power House and Tailrace Tunnel including associated Hydro-Mechanical (HM) works. The Generating Plant & Equipment is the responsibility of M/s Bharat Heavy Electricals Limited (BHEL), a GoI Undertaking; (62 months are planned for completion). The works contract of the Generator Transformers, Reactors etc. is also BHEL’s responsibility. 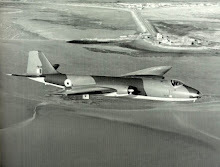 The Turbine Model was constructed and tested successfully and 80% of the detailed designs have been developed. At this level, the work is progressing as per schedule. The transmission system is the responsibility of BPC, a RGoB Undertaking with POWERGRID providing the consultancy. The Project will get registered for availing Carbon Emission Reduction (CER) benefits. It will be communicated to National Environment Commission (NEC), Bhutan, Ministry of Environment and Forest, GoI and United Nations Framework Convention on Climate Change (UNFCCC). The Project is scheduled to be completed in eight years (on November 10, 2016). According to the projections, the Punatsangchhu-I Hydroelectric Project will then (hopefully) generate 5.70 billion units in an average year. According to Kuensel, the Bhutanese publication, the PHPA needs another Rs. 3.5 billion ‘to stabilise the hill’ which is ‘sinking’ on the right bank of the project’s dam site. The total cost of the project is now estimated at threefold the initial one (Rs. 97.5 billion). On September 20, the Authority submitted a status report to the Bhutanese government in which the cost escalation was mentioned. Experts from the Central Water Commission (CWC) and the Geological Survey of India (GSI) recommended that the work should be completed by the end of the next monsoon. Practically, it means that the commissioning of the project will be delayed by a year, from November 2016 to November 2017. 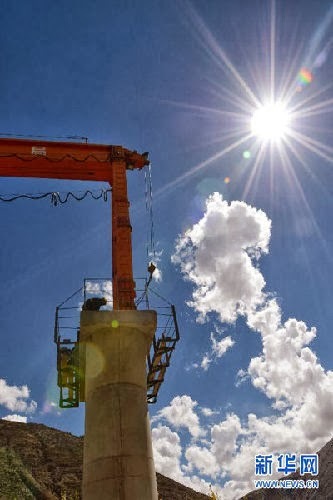 The experts suggested ‘permanent strengthening measures’ which would include excavation of ‘overburden’ materials like boulders, sand, lose soil and access to the shear zone at an appropriate level and its replacement by reinforced concrete shafts or tunnels. 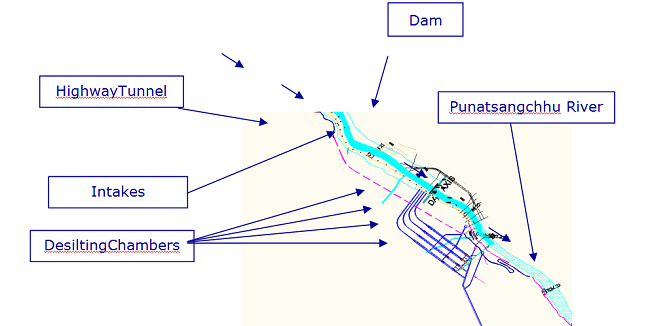 Kuensel added that “Piling of roller compacted concrete and providing cable anchors at different locations and additional concrete gravity dam block” have also been recommended. One could ask, why the ‘experts’ could not think about this before? Why all the necessary tests and investigations were not carried earlier? It is an eternal question which could only be answered, “One thinks after”. The experts from CWC and GSI are due to visit the site for the third time between October 18 and 22. It was only after a first visit to the site (from July 28 to August 2), that seven holes were drilled on the slide area and the dam site. Four holes, with a depth of 520 m, were drilled outside the landslide, upstream of the dam site; they indicated shear or unstable zone underneath, while the two holes, with depth 25 m each in the dam area, did not show any such a sign, even at the deepest level of the dam foundation at elevation 1075 m.
The report about the seventh hole drilled above the landslide, is not known. Between September 1 and 15, the Central Water and Power Research Station from Pune conducted electric resistivity tomography and seismic refraction. The outcome of the geo-physical studies, along five stretches of the hill from top to bottom of the slide would be available on September 30 and determine the type of underground earth structures required. Once again, one thinks after. The Authority has decided to use inclinometers to monitor the movement of the hill mass. They should be placed permanently along two sections of the hill, with a 30 m gap. On September 9, a Technical Co-ordination Committee (TCC) discussed the outcome of the explorations and the need for further exploration or studies in the slide area and a proper action plan for restoring normalcy. The TTC stated that all permanent measures needed to be completed before the onset of 2014 monsoon. While visiting the site for the second time (from September 15 to 19), the CWC experts identified 11 locations for drilling, (of which 10 are within the slide). Drilling and excavation are underway and reports are expected by October 10. Only the future will tell if it is true; history tells us that nothing in ‘permanent’ in the Himalayas; we have seen it recently in Uttarakhand. Mangdechhu Hydroelectric ProjectBut that is not all, the Mangdechhu Hydroelectric Project (MHP) also faces 'unexpected' difficulties. An agreement for execution of MHP was signed between the governments of India and Bhutan April 30, 2010. The approved cost of the MHP was Rs. 3382.15 crores to be funded by GoI as 30% grant and 70% loan at 10% annual interest to be paid in thirty equated semiannual installments. The tentative project cost has now reached Rs. 3,800.69 crores. Folowing the pattern of PHPA I, on June 8, 2010, the Mangdechhu Hydroelectric Project Authority was constituted. The Authority comprises of Chairperson and four members nominated by the Royal Government of Bhutan and three members nominated by the Government of India. The Project Management is headed by the Managing Director, who is being assisted by a Joint Managing Director, Director (Technical) and Director (Finance). NHPC Limited, a Central Public Sector Undertaking is the Design and Engineering consultant to the project which is scheduled to be commissioned by September, 2017. The 720 MW Mangdechhu Hydroelectric Project is located on river Mangdechhu in Trongsa Dzongkhag (District) in Central Bhutan. 2 nos. Intake Tunnels (5 m x 5 m length 126 & 173 m); 2 nos. Underground Power House (size 155 m x 23 m x 41 m, and 135 m x 18 m x 23 m GIS, Pelton Turbine, Rated Head 69 2m; TRT (Horse shoe shape, dia. 8 m, length 1295 m). The power evacuation of the project has been planned through 400 kV Mangdechhu-Jigmeling via. Goling Transmission Line. The annual energy generation from the project (with 95% machine availability) would be 2925.25 MU. M/s PES Engineers Pvt. Ltd. has the responsibility of the fabrication, supply and erection of Diversion Tunnel gates, Spillway radial and stop log gates, Intake service & bulkhead gates, trash rack, DS basin outlet and SFT service gates, Surge shaft gate and hoists, TRT gates and Adit Inspection gates. The National Hydroelectric Power Corporation of India (NHPC) has been involved in designing the entire project. Like the the Punatsangchhu-I Hydroelectric Project, the Mangdechhu project is facing serious problems. NHPC believes that the project should be shifted “to avoid shear zones or loose rocks encountered during the excavation”. According to article in Kuensel, NHPC proposed that the locations should be moved some 40 meters away. The new proposal would cost the project a delay of more than five months and additional cost of some Rs. 50 millions. It has now been decided that the power project will continue with the excavation and construction of its powerhouse and transformer caverns in the initially identified location. 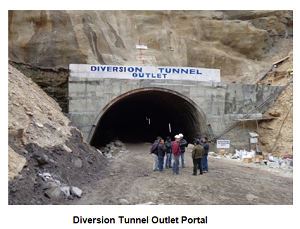 Kuensel quotes the project managing director AK Mishra who believes that the layout of the pressure shaft, tailrace tunnel, ventilation tunnel and a few other tunnels had to be moved from their present locations and the entire layout of the project would have to be re-inclined. The four turbines in the powerhouse are built underground. The power generated is later sent from the powerhouse to the transformer cavern, which will in turn boost the energy before transmission to the substation. This work could be carried out simultaneously, not provoking any delay for the main project. As today some 15 % of the area of the powerhouse and the transformer cavern has been excavated. Kuensel’s investigations have found that re-location of the powerhouse and the transformer cavern would not solve the problem, just because the shear zone had stretched over a vast area. It is pointed out that the cost of the project has already been revised cost is Rs 3,800 crores from an estimate of Rs 2,900 crores in 2008. This was due mainly to inflation. In another posting, I mentioned the 2009 Uttarakhand State Audit of the Controller General of Accounts: "The State’s policy on hydropower projects was silent on the vital issue of maintaining downstream flow in the diversion reach (the stretch of the river from the point of diversion into tunnel to the point where it is released back into its natural stream). The physical verification of four out of five operational projects, showed that river-beds down stream had almost completely dried up, the water flow was down to a trickle, and extremely inadequate for the sustenance of ecology and nearby groundwater aquifers. [Paragraph 5.3.1]"
Many more environmental issues will be encountered. Has they been taken into considerations or will it be looked into 'after'? It seems to me that Bhutan is trading Happiness for an uncertain 'developed' future. One last article, Intrusions by China which appeared in The Statesman last week. The time has come for the Indian Government to publish a White Paper and tell the Indian public what is going on. Nehru used to regularly issue White Papers (15 were published between 1959 and 1965). Why does the present government not do the same? In any case, it would be wise before some babus lose the relevant files. One more article which appeared in Uday India and the Indian Defence Review, The Chinese Dream is Over: The Seven Perils. My article Stalinist policies won’t help China in long run appeared in NitiCentral.com. My article, about Robert Ford, the British radio operator in Tibet entitled, Just when we thought the gods had won... appeared today in today's Edit Page of The Pioneer. Three months ago, China Tibet Online reported: "A museum in commemoration of Gedun Chophel [Choepel], a Tibetan humanism pioneer and scholar, is expected to be completed in Lhasa in July, 2013." According to the Communist media: "[Gedun Chophel] pursued truth, upheld humanist spirit, turned his conception of history from Buddhist theology to humanism, and made important contribution to Tibetan modern academic and intellectual history." Now, according to Radio Free Asia (RFA): "Authorities in western China’s Sichuan province have blocked plans by Tibetans to observe the 100th anniversary of the birth of famed Tibetan writer and thinker Gendun Choephel, as Beijing continues to crack down on public assertions of Tibetan cultural and national identity". Apart from the Museum in Lhasa, there is a Gedun Choephel Gallery of Modern Art on the Bakhor. About the ban, RFA explains: "The action came despite recent moves by Beijing to present Gendun Choephel to Tibetans as a 'progressive' figure in modern Tibetan culture." A gathering was organized to discuss Choephel’s life and influence on August 24 in Ngaba town (in Chinese, Aba) of Ngaba Tibetan Autonomous Prefecture (Sichuan province). However, when the Communist authorities learned of the plan, the organizers were told they could not have the event. Perhpas, but in this case why to open a Gedun Choepel Museum in Lhasa? It is sometimes difficult to understand the Middle Kingdom! Robert Webster Ford (born on March 27, 1923 in Burton-on-Trent, England) is no more; he passed away on 20 September 2013 in London. Ford served several years in Tibet as a radio operator in the late 1940s; till he was arrested by the advancing People Liberation Army in October 1950. The Tibetans had a problem in pronouncing 'F', 'Ford' became 'Phodo'; in Kham, he became known as 'Phodo Kusho', 'Ford Sir'. After being released by the Chinese in 1955, he entered the British foreign service. He ended his career as British Consul General in Bordeaux. Ford was the lone foreign witness of the Chinese invasion of Kham in 1950. That is probably why he was 'captured' and underwent much suffering and humiliation during his five-year as a prisoner of Mao. 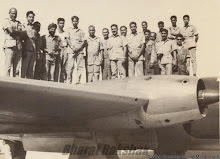 'Phodo' was a radio technician of the Royal Air Force during World War II; he served in England and later in India. 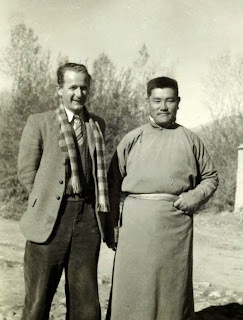 In 1945, he joined the British Mission in Lhasa as a radio officer. An audience with the 14-year-old Dalai Lama in Lhasa convinced him to continue to work in Tibet. 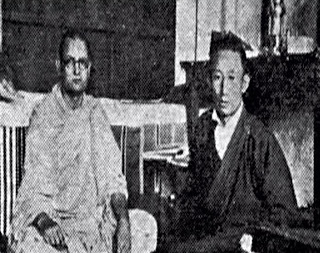 He was soon transferred to Gangtok, Sikkim, where he worked under the Political Officer, in-charge of the Tibet Affairs. When India became independent in 1947, Robert Ford returned to Lhasa and was officially appointed by the Government of Tibet. Later he became the first foreigner to be given a Tibetan official rank. The following year, he was transferred to Chamdo, capital of eastern Tibet (Kham), to establish a radio station. In 1949, the Tibetan-speaking Ford and three Kinnauri wireless operators left for Chamdo to help the Governor General Lhalu Tsewang Dorje, who wanted to improve the defence of Kham. 'Phodo' soon managed to establish a first direct link with Lhasa. In the first months of 1950, Lhalu requested Ford to shorten the training of the Kinnauri wireless operators; the governor wanted the station to be fully operational, he could sense the forthcoming danger. Unfortunately for Tibet, Lhalu was replaced as Governor General of Kham by Ngabo Ngawang Jigme who took lightly the Chinese threat. 'Phodo' was arrested (along with Ngabo) in October 1950 by the invading Chinese army. The Chinese accused him of espionage, spreading anti-communist propaganda and causing the death of a monk, known as the Geda Lama. 'Phodo' spent nearly 5 years in jail, in constant fear of being executed; he was subjected to interrogation and 'thought reform'. Only in 1954 was he allowed to send a letter to his family. His trial was held at the end of 1954; he was sentenced to ten years jail. He was eventually released and expelled from China in 1955. In 1957, he published a book Captured in Tibet about his harrowing experience. In my book Tibet: the Lost Frontier, I quoted 'Phodo Sir'. I remember hosting him for a few days some 25 years ago. He was a lovely human being. 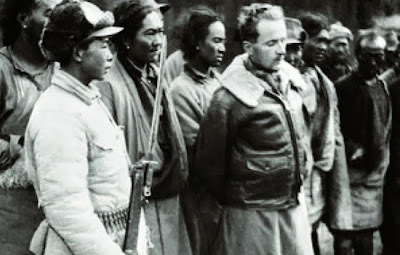 He used to say that his ordeal in the Chinese jails (and specially the interrogation methods) were very similar to ones the Indian officers captured by the Chinese in October 1962 had to go through; it was also comparable to experience of Sidney Wignall, captured in Western Tibet in 1955. See my posting on Wignall, 'So it was all for nothing': The Aksai Chin road. In his book, Ford mentioned that 'The gods are on our side' was the most often repeated mantra in the Chamdo in the Fall of 1950. A few days before the arrival of the Chinese, the greatest excitement in town was the divination that Shiwala Rinpoche, the head lama of the local monastery, had just performed. It was on all tongues, the great news had spread like wildfire: “Shiwala Rinpoche says that the Chinese will not come.” Everywhere there was a sigh of relief. The Gods had finally won! The rumours of an impending attack on Tibet had started trickling in from August. Panikkar [the Indian Ambassador to China] knew it, he knew that the Chinese had already entered in the Chinese-controlled areas of Kham (Sikang). In a communication to the Chinese Foreign Office on 2 October he informed the Chinese that the Tibetan Delegation would be leaving India shortly to Peking and had expressed the hope that further military action would, therefore, not be necessary. "It will help the peaceful settlement of the Tibetan question if the Chinese troops which might have entered territory under the jurisdiction of the Lhasa authorities could restrict themselves to western Sikang." 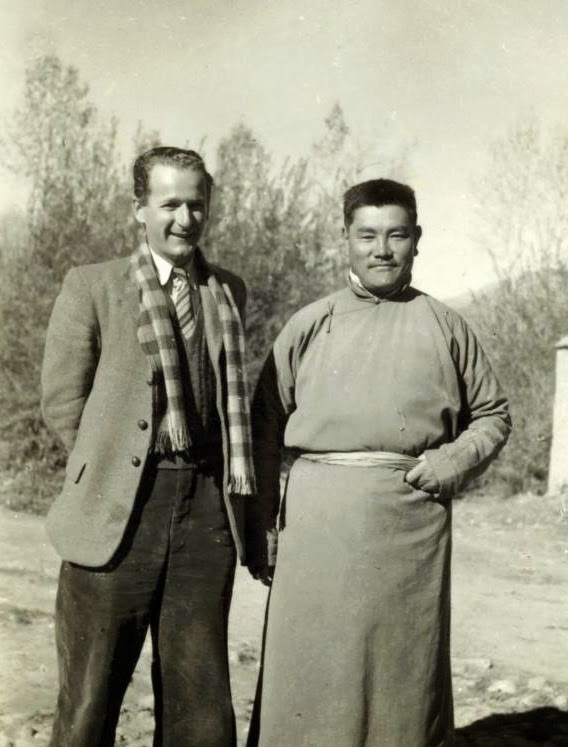 In Chamdo, Robert Ford, the British radio operator employed by Lhasa had arrived in December 1949. Ford, ‘Phodo Kusho’ as the Tibetans called him, had brought with him brand new radio sets that he found nicely packed in crates when he first arrived in Lhasa. From Chamdo, Ford soon established a daily link with Lhasa. He was also able to monitor the world news from Beijing and Delhi. One of Ford’s first tasks was the training of some young Indians of Tibetan stock (Lahauli, Kinnauri) who would be able to operate the radio sets. The idea was to send them to the Sino-Tibetan border to monitor the movements of the Chinese troops. 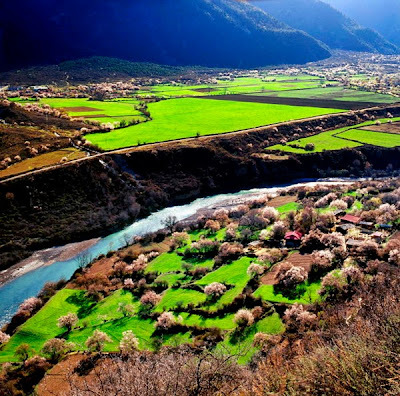 This border which had been ‘shifting’ during the past decades and even centuries, was now situated some one hundred miles east of Chamdo and followed the course of the Upper Yangtse. 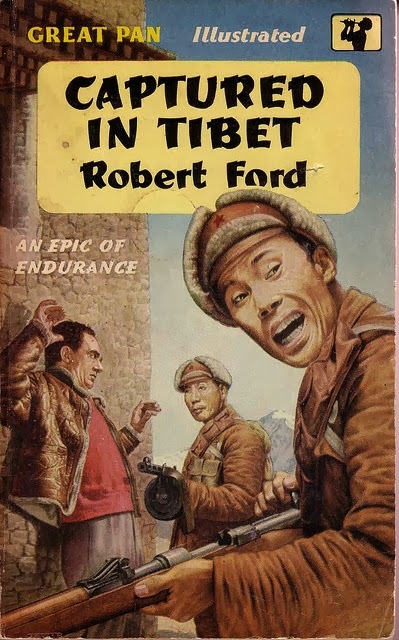 It is difficult to ascertain the true number of Tibetan troops stationed on the 200 mile long border along the banks of the Yangtse, Goldstein speaks of about 3,500 soldiers, but Ford estimated their strength to be much less. On the other side of the great river more than 40,000 much better equipped troops waited to ‘liberate’ Tibet. On October 11 at 11 p.m., Ford had just finished speaking to his mother in England on the radio and was preparing to go to bed, when he heard a faint tinkle of bells coming from the east. “As bells grew louder I heard another sound, the clip-clop of horse’s hoofs.” Ford immediately recognized an Army messenger riding towards the Residency where Ngabo Ngawang Jigme, the new Governor of Kham was staying. He was bringing the ominous message: the PLA had crossed the Yangtse. The main border post at Gamto Druga had been overrun by the Chinese who used the same strategy as in Korea (and later in NEFA). Wave after wave of soldiers overpowered the Tibetan defenders, who fought well but were finally massacred. In the meantime another Chinese regiment crossed the Yangtse above Dengo and advanced rapidly towards Dartsedo, marching day and night. 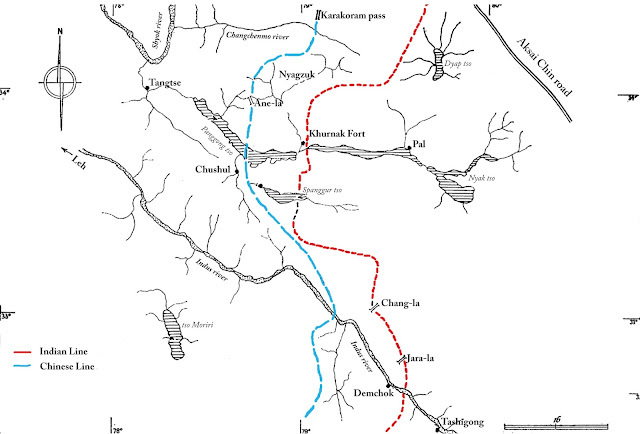 In the South, the 157th PLA Regiment attacked the Tibetan troops near Markhan. When they reached Markhan, the local Tibetan Commander, Derge Se, surrounded by the Chinese troops, surrendered his force of 400 men. The northern front lost ground day by day and the headquarters of the central zone was soon lost to the waves of young Chinese soldiers. 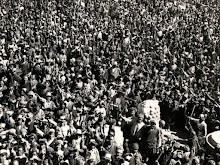 Lhasa was finally informed on October 12 that the Yangtse had been crossed. At the same time, the opera season was in full swing in Lhasa. The aristocracy and the Government were busy. For the Tibetan officials opera and picnic were sacred! The omen [The Earthquake of August 15, 1950. ], if that is what it was, began to fulfil itself. Towards evening, during one of the performances, I caught sight of a messenger running in my direction. On reaching my enclosure, he was immediately shown in to Tathag Rinpoche, the Regent…I realized at once that something was wrong. Under normal circumstances government matters would have to wait until the following week. Naturally, I was almost beside myself with curiosity. What could this mean? Something dreadful must have happened. But Deng Xiaoping, Liu Bocheng and their men were used to hardship and bitterness. It was without doubt easier for the People’s Liberation Army to fight ill-equipped Tibetans than the sophisticated weapons of McArthur’s troops in Korea on the eastern front. “Radio Lhasa had no more to say the next day, or the day after that,” said Ford. Finally about 10 days after the Chinese had crossed the Upper Yangtse, Ford heard an announcement from Delhi: Thubten Gyalpo, Shakabpa and the Tibetan delegation were denying any attack on Tibet. They were simply not living in this world. But their world was disappearing, without them or the world of the world realizing it. The leaders of seven-man delegation to Peking told PTI today that this delegation was proceeding to Peking irrespective of the reported Chinese Communists invasion of Tibet. He had received final instructions from Lhasa to conduct negotiations in Peking on future Sino-Tibetans relations only last Sunday, he said. The Delegation had not discussed the future of Tibet with the Chinese Ambassador in New Delhi during their stay there. They had only informal talks. A member of the delegation said that they were more interested in religion than in foreign affairs. He thought Tibet was of no significant strategic importance for military point of view. To send a delegation more interested in religion than in foreign affairs to discuss with Mao the future of their nation! Pandit Nehru said that while vast millions of people all over the world were ‘hankering and hindering after peace’ feverish preparations for war were also going on in many parts of the world and this is a serious contradiction which had to be solved. ‘the only way to bring peace’, the Prime Minister thought was ‘for the people of the world and the different countries to cast away fear from their hearts and minds and think and do the right thing’. Poor Tibetans, they thought they were doing the right thing in calling upon the gods for help and in completing the Opera Festival. One thing is for sure — there was no fear in Lhasa and Chamdo. I decided to take my news summary personally to Ngabo. "Radio Lhasa has not mentioned the invasion," I said pointedly. "The Government only heard of it this morning," said Ngabo. "It cannot be announced until it has been decided what we shall say. I will tell you confidentially, Phodo [Ford]," he added, "that the National Assembly is meeting in Lhasa now." “The National Assembly was evidently having a long session”, added Ford. I could only think it was a matter of habit. The Lhasa Government was so used to the policy of saying nothing that might offend or provoke the Chinese that it kept it on after provocation had become irrelevant. It was still trying to avert a war that had already broken out. On October 19, Robert Ford was arrested and charged with having killed the Gethak Lama and spying for the imperialists. He spent five years in Chinese jails. The excellent Reuters article posted below raises an interesting question, what is a rumor? The authors say: “China's crackdown on online ‘rumor-mongering’, widely seen as a tool to halt criticism of the ruling Communist Party, has chilled political discourse, with high-profile bloggers saying they have reined in sensitive posts for fear of detention”. On September 2, 2013, Beijing Daily advocated ‘ideological education’. The article was later reprinted by many major State media. For the past 2 decades, this has been the main fear of the leadership in Zhongnanhai. In other words, the Party is always right. It has never committed any crime, whether it is during the Great Leap Forward, the Cultural Revolution, the Tiananmen events or today when censures and suppresses its own people, particularly in 'minorities' areas such Tibet and Xinjiang. Unfortunately, the Party sees a foreign hand everywhere (read the United States), even when the Chinese people try to express their concerns and aspirations, through the only means they have at their disposal, the Internet. The leadership sees it like this. A week later (on September 9), The People’s Daily published an article on ‘the importance of propaganda and ideological work in China’. Luo Shugang, the Deputy Minister of the Propaganda Department of the Chinese Communist Party Central Committee, elaborates on Party Secretary Xi Jinping’s speech at the National Propaganda and Ideological Work Conference (on August 9). 1) The key is to strengthen most Party cadres’ faith in Marxism and Communism; strengthen the entire Party, the nation, and the People of different ethnic groups’ faith in socialism with Chinese characteristics. 2) Resolutely obey the CCP Central Committee led by General Secretary Xi Jinping, and resolutely safeguard the authority of the CCP Central Committee. 3) Always adhere to principle of the Party's control of media. The Chinese Communist Party has the absolute leadership position over all media and communication channels at all different levels. 4) Punish those who spread ‘rumors’ and ‘harmful information’ on the Internet. 5) Guide people to look more at the bright side. Announce the full scope of authoritative information in a timely manner so as to suppress negative information and wrong views. Constantly reinforce the people’s trust and confidence. Several questions remain, first how long can this work? How long can the aspirations of the people for more freedom be suppressed? How long can the Party retain ‘absolute leadership position over all media’ in an economically freer society? Last question: why are the Party’s leaders sending their kids for education in the United States? The only thing which can be said is that the situation is not healthy. I thought that China was aspiring to be a ‘normal’ great power? BEIJING (Reuters) - China's crackdown on online "rumor-mongering", widely seen as a tool to halt criticism of the ruling Communist Party, has chilled political discourse, with high-profile bloggers saying they have reined in sensitive posts for fear of detention. Lawyers and activists called the crackdown a significant, if crude, expansion of powers to police the Internet and a blow to those who rely on microblogs to disseminate information that is often not monitored as strictly as traditional media. "I am really scared now that any whistleblowing might lead to an arrest," said Zhou Ze, a rights lawyer with more than 165,000 followers on the Twitter-like microblog Sina Weibo. "We all have to talk less, and more carefully." It is common for politically sensitive posts to be taken down by censors and for users to be blocked, but recent detentions have sparked fears of harsher punishments. At the heart of the issue is a judicial interpretation by China's top court that says bloggers can be prosecuted for posting rumours seen by more than 5,000 people, or forwarded more than 500 times. "If rumours can lead to detention or arrest, everyone will fear for themselves and become particularly scared about criticizing officials, which we are seeing less of on the Internet," Zhou said. An estimate of data provided to Reuters by Weiboreach, a social media data analysis firm, shows that in a random sample of 4,500 highly influential users known as "Big Vs", those with a self-reported occupation in government or academia had a much higher rate of deletion in August than those in entertainment. The data does not differentiate between posts that users had deleted themselves and those that were deleted by authorities. Analysts said the judicial interpretation specifically targeted the hundreds of Big Vs - "v" for verified - who send opinions, news and information to thousands or even millions of followers. Many are entrepreneurs, celebrities or academics. Weibo users known for political and social commentary have been detained in recent weeks, enforcing fears that rumor-mongering is not the target of the law. Wang Gongquan, an outspoken venture capitalist, was taken away by police on Friday on charges of disturbing public order after he helped lead a campaign for the release of another activist. Well-known whistleblower Wu Dong, more commonly recognized by his online handle "Boss Hua", was taken into police custody in Beijing, the official Liberation Daily reported on its verified Weibo feed. He said via Weibo on Wednesday that he had been released. His phone was off and he could not be reached for comment. Wu, a watch lover, is one of many Weibo users who post about official corruption. He drew attention last year when he posted photos of expensive watches worn by government officials last year, helping to bring down one high-flying official. Chinese-American venture capitalist Charles Xue was detained on charges of prostitution and appeared on state TV in handcuffs on Sunday to apologize, saying his status as a Big V had gone to his head. "Freedom of speech cannot override the law," said Xue, who was known for outspoken comments on political and social issues online. Spreading rumours is common on Weibo, and there is little protection against defamation. "It's important that those who spread slander are held legally responsible," said Peng Jian, a lawyer with more than 100,000 followers on Weibo. "But if it's not implemented properly, it could suppress freedom of expression." The problem, lawyers say, is that the interpretation takes a broad view of what constitutes a rumor. "The goal is pretty obvious, and it's certainly not to suppress so-called rumours. In some sense that's just an excuse," said rights lawyer Mo Shaoping. "Most of the things people post on the Internet are just opinions and views. Those things shouldn't be suppressed." 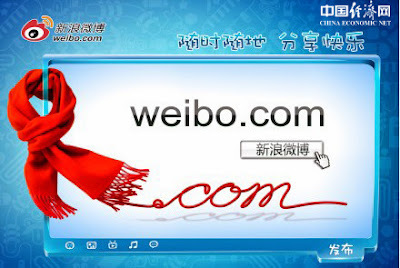 Mo said he had stopped using Weibo two years ago under pressure from officials. Legal experts said that the court's interpretation amounted to a broadening of authority to police the Internet, as if Weibo were a physical public space. "It's a significant expansion because it criminalizes postings that were not criminalized before, and not only rumours and libelous comments," said Nicholas Bequelin, of New York-based Human Rights Watch. Tong Zhiwei, a professor at East China University of Political Science and Law who has about 95,000 Weibo followers, said he had seen a rise in the number of his posts that had been censored in recent weeks. "It's not so much the judicial interpretation per se that is affecting my comments," said Tong, who frequently comments on social issues from a legal perspective. "It's the atmosphere it has created." Criticizing one-party rule was in effect forbidden already, Bequelin added. "Nine tenths of the Internet population would be in prison if you were to apply this very strictly," Bequelin said. "But that is the root of China's regulation of freedom of expression." The latest crackdown was also significant because it targeted Internet users who didn't see themselves as dissidents, said Sarah Cook of Freedom House, a U.S.-based group promoting political freedom and human rights. "Now you're having a criminal judicial interpretation and then actual arrests of people who don't see themselves as political," Cook said. "The group of people being targeted is much wider." Last year, I mentioned the extraordinary life of the ‘Indian Dalai Lama’, Tsangyang Gyatso, the Sixth Dalai Lama born in 1643, near Tawang in Arunachal Pradesh. As a young boy, before leaving for Lhasa, he lived in a small hamlet called Urgyeling, a few kilometers south of Tawang town. 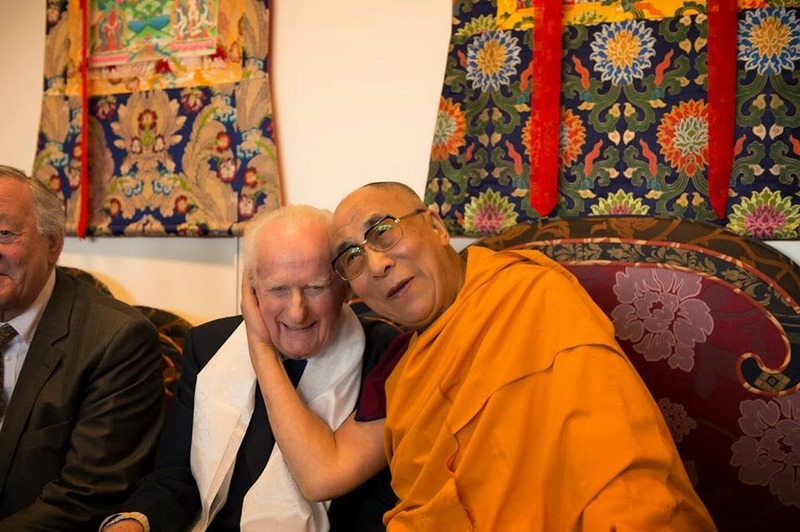 Tsangyang Gyatso was in many ways an exceptional Dalai Lama. As a teenager, he was taken away to Tsona, the main monastery on the other side of the Tibet border (McMahon Line), where he was kept for 8 years under the tight surveillance of the local Tsonpon or Governor (the Regent Sangye Gyatso had not yet revealed to anybody his real identity). He was already an adolescent when he finally left for Nagartse near Lhasa where his Guru, the Second Panchen Lama enthroned him as the Sixth Dalai Lama. You may think the Chinese, as believers of Karl Marx atheist religion, do not have a great love for the Dalai Lamas; it seems logical. Further their propaganda machinery loves to bash the present Dalai Lama. But recently the Communist leadership has ‘rediscovered’, the Sixth Dalai Lama and started organizing Festivals in his name. 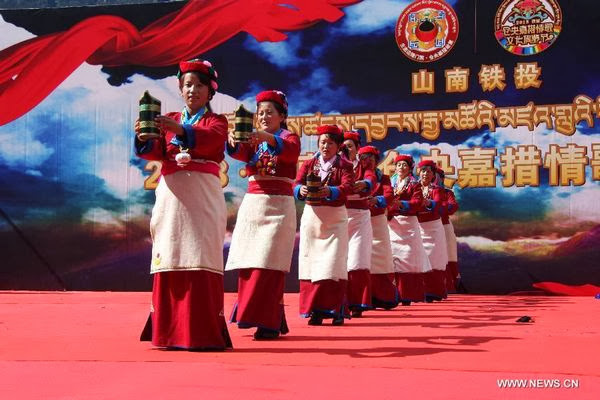 Chinanews.com reported that the Tsangyang Gyatso Ballad Cultural Tourism Festival was held in Tibet from September 15 to 19, in Legpo of Tsona County in Lhoka Prefecture. Tsona is just north of the McMahon Line. The main purpose of this Festival is to show to thousands of Chinese tourists that Tawang is also part of China and whatever belongs to Tawang, also belongs to China. 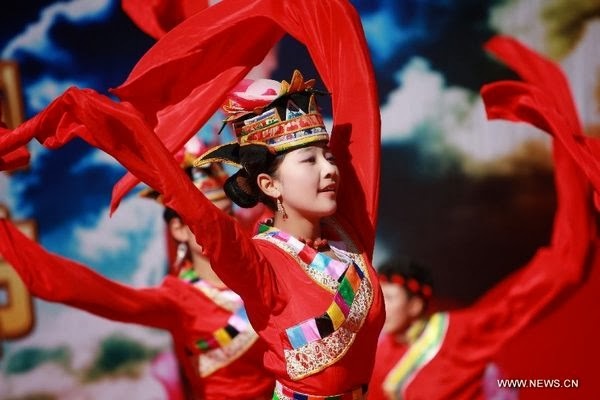 I am not sure what ‘committed in inheriting’ means, but the Communist authorities has stated that they would like the Tsangyang Gyatso Ballad Cultural Tourism Festival to gradually develop “into a grand local gathering integrating art performances, tourism promotion and business negotiation”. 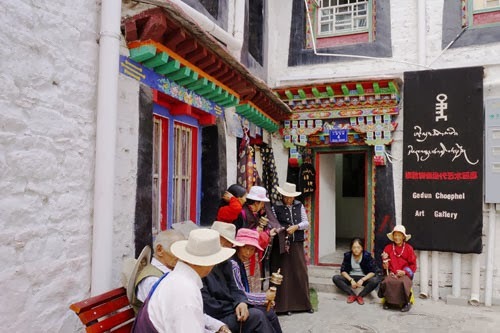 During the festival, the organizers also arrange the visit Tsangyang Gyatso's former residence (after he had left Urgyeling) “while discovering how he grew up, tourists could also learn Monpa people's folk culture, such as daily life, dress as well as vernacular architecture”. What is happening on the other side of the border, in the Indian district of Tawang? Despite the Tawang Festival being organized in October, the poor state of the roads and the irregular helicopter’s schedule hamper the Indian and foreign visitors to see the true birth place of Tsangyang Gyatso. Last week, I posted an interview of the MP from Ladakh, Thupstan Chhewang on the Chinese incursions. Here is another interview dating from more or less the same time than Chhewang's. This time, it is about Arunachal Pradesh and Kiren Rijiju, the then MP explains the patters of Chinese intrusions on India's territory. After reading a report from India Today on the recent Chinese 'visits' to Chaglagam, the last village before the McMahon Line in Anjaw district, it has become obvious that the pattern of intrusions has drastically changed during the past 5 years, whether it is in Ladakh or in Arunachal. 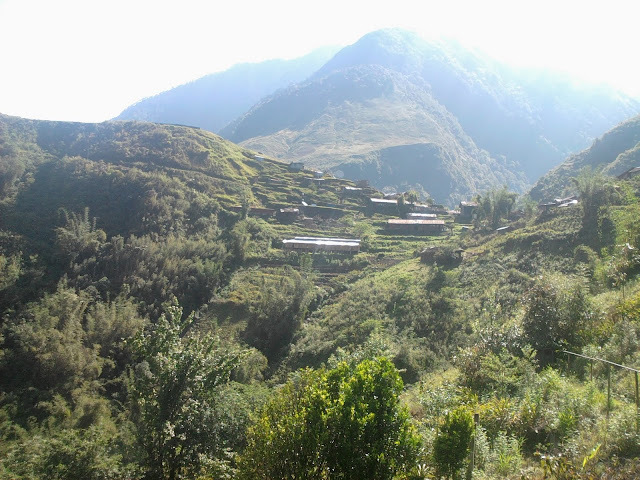 Take Chaglagam, a small village where some fifty families live on local cultivation and from time to time, by rendering services (mainly as porters) to the Indo-Tibetan Border Police Force (ITBPF) manning the border, some 40 km away. The village has no power supply, no gas supply. There is just one telephone in the village for communication; no tower for mobile telephony. To get supply of food or vegetables, the villagers have to walk to the nearest village, some 50 km away. The road condition is said to be extremely bad, as the area has not been a priority for the Border Road Organization. Now, on August 12, Chaglagam had the visit of the Chinese Peoples' Liberation Army who had walked more that 40 km into India. On their way, the PLA's soldiers took some local porters as hostage and kept them for several hours. Of course, it was not counted as an intrusion by the Government which remained mum in the issue. 42-year-old porter Kamthalam Thapa recounts his rendezvous with the Chinese army, "We met the Chinese army on 12th August. We were held captive for several hours and released later. This doesn't happen usually but it happened this year with us." Kamthalam is not the only one kept in Chinese custody for several hours. He along with others met the Chinese when they were very much in Indian territory. The Chinese incursion this time has been documented with the help of evidence provided by these porters who travel on this route for a living. Some of them go to the forest to collect wood and cultivate poppy. His companion Chamba Thapa, a porter, dressed in traditional attire also had similar things to say, "We were caught on our way by the Chinese army. We had no option but to return back to the base. The Chinese went away so they left us." ... The Chinese have left wrappers of eatables in the Indian boundary and not just once but several times. ...A regular porter with the army, Ambalam Chapa has stood witness to this several times. "We are porters. When we go with Army we find a lot of Chinese items littered here and there, from packets of biscuits and other eatables to other items. This is not the first time but I have seen this earlier also in past two three years. There also times when we have seen Chinese flags in the Indian region," says Ambalam. India Today adds: "Now, the Indian government has maintained a stoic silence on the Chinese incursion but Aaj Tak/Headlines Today has evidence of the intrusion." What can we conclude from this report and Kiren Rijiju's interview? First, the pattern of intrusions has completely changed during the last 5 years. From Tibetan grazers and herders who were 'pushed' into Indian territory, it is now the People's Liberation Army (in uniform) which is shamelessly intruding in Ladakh, in the Middle Sector and in Arunachal. Everyone knows the solution, it is to develop the infrastructure in the border areas. But how to convince the babus in South Block? The best would probably be to use the 'Fernandes method'. When he was Defense Minister, George Fernandes used to send the babus to the Siachen glacier to see by themselves the situation and understand the problems. South Block's babus could be sent in rotation for, let us say, 2 weeks each to Chaglagam; let them fetch their food from the 'nearby' village and then cook their rice and dhal. It will be a memorable experience. Once in a while, they may be captured by the PLA, but I am certain, that they will soon be released after their colleagues of the MEA speak to Beijing using one of the many 'mechanisms' to keep the border peaceful. I am sure that once back in Delhi, the babus will produced convincing reports advocating immediate construction of roads and setting up basic facilities for these remote villages of Arunachal. The Defence Minister could even spent 2/3 days there, he would become immensely popular with the defence forces, particularly with the jawans. It would not be a novelty, at the beginning of the year, President Xi Jinping, China’s Commander-in-Chief, issued an order requesting all Chinese generals and senior officers "to serve as the lowest-ranking soldiers for at least two weeks per year”. President Xi Jinping's objective is to ‘shake up the military and boost morale’. Some Chinese generals may have visited Arunachal during their 2-week 'duty'. Who knows? The change of pattern in the intrusions is however of extremely serious concern, and resolute actions need to be taken at the earliest; even if the babus manage for some time to escape their shift on India's borders. Kiren Rijiju, the 36-year-old firebrand Member of Parliament representing Arunachal Pradesh (West), does not share the government's and Indian Army's perceptions about Chinese incursions in his border state. Chinese intrusions have been denied by the army and the government, but you have repeatedly brought the matter to public notice. Could you tell us what is really happening? In my constituency in Arunachal (West), there are many points where Chinese intrusions are happening. And it happens throughout the year. Since the 1962 war, the Government of India has not developed adequate infrastructure on the border. This has made access to the border very difficult from our side; while on the Chinese side, they have built infrastructure to facilitate movement of their army and people. Their side is far more accessible. The Chinese (intrusions) are happening in a slow, creeping manner. Inch by inch, the Chinese station their army personnel and bring equipment. Is it the army or grazers? Grazers are basically a camouflage because the terrain is very difficult. I am speaking of areas from eastern Arunachal (Walong) to the western part (Tawang). The public (and the government) only know of Chinese incursions if it happens in known places like Tawang. When incidents happen in more remote places, it does not come to the notice of the general public. The army keeps it secret. They won't let the people know what actually happened. In one place in Tawang district, some villagers were in possession of rice and grain supplied by the Chinese authorities. When these Monpa tribals were asked they took Chinese help, they answered: "Well, we have not been supplied with essential commodities from the Indian side. To survive we had no other choice but to accept what the Chinese offered." This shows that the government is not doing enough for the development of the border areas. But the real issue is that India after 1962 adopted a secret policy not to develop the border areas. The idea behind it is that if we develop the border areas, the Chinese can easily use these facilities in the event of a war. It is a wrong policy. It means that we are in a defensive mode, we have no confidence in our army. This encourages the Chinese. We have to be confident in our own policies. Our demand has been that we should connect all the border areas right to the McMahon Line by a road network. Do you think that Prime Minister Manmohan Singh's visit to Arunachal, though he did not visit Tawang, opened the eyes of the government? The government is now realising the hard realities, but it is still committing the same mistake. Why did the PM avoid Tawang? By not going, he has given some leverage to the Chinese who can say 'he has not gone to Tawang, because it is a disputed territory'. It is an acknowledgement that it is disputed, while in fact it is not. The PM's decision gives justification to Chinese claims and encourages them. When they found out that the PM was going to Itanagar only, the Chinese knew that their pressure tactics had worked. Arunachal is the only issue which has a potential for conflict between India and China. If ever, India and China go to war one day, it will be on this issue. Do not forget that Arunachal is (potentially) the richest state in India. About 30 percent of the power will come from Arunachal alone. Arunachal has petroleum; gas, minerals, and the largest forested area in India. Arunachal has great water resources. India is going to face a water shortage. Our state has a great potential, it is going to be the richest state in India in 15 years. The Chinese know this. What if the Chinese divert the Brahmaputra river? It will be only on the Siang (Brahmaputra) which represents only 25 percent of the waters of the state. Most of rivers flow from the Arunachal side of the McMahon Line which is the dividing line on the top of the ridge. All the rivers which originate from the Indian side flow towards India and cannot be diverted. Their flow increases in Arunachal. The Chinese have built a new airport in Nyingtri district in Tibet, just north of the McMahon line. This airport is very close to Arunachal. On the belt along the Brahmaputra (Tsangpo) river, towards Arunachal, particularly from Tsona (north of Tawang) to the Yunnan province (of China), the Chinese have built adequate infrastructure with many airports. Further, the Golmund-Lhasa railway line will be soon extended till Shigatse (Southern Tibet), it should be completed next year. They announced it for 2010? But Chinese are always able to complete their projects before schedule. They will reach Shigatse in 2009 and then, turn eastwards following the Tsangpo basin towards Tsona. Once it reaches Tsona, we will have a massive deployment of military hardware, right on the Arunachal border. There is already a full deployment in Tibet, including nuclear weapons. In fact till 2005, they could not move heavy military equipment due to bad roads. The railway connectivity has dramatically changed the geopolitics of Tibet. India's plan to counter this move is not enough. The recent package for a trans-Arunachal road which will cost Rs 6,000 crore or Rs 7,000 crore only connects the lower districts of Arunachal. Nowhere will this touch the McMahon Line. I have written to the prime minister asking him to make sure that the road connectivity touches all the border areas. Otherwise, it will not serve the (defence) purpose. From the package announced by the prime minister, all border points will be five or six days by foot. How can military personnel take care of our borders when they have to walk five or six days with arms and ammunition? I am honestly admitting that we are not prepared. It was also admitted by A K Antony during a recent visit to Sikkim. Yes, he admitted it and I have said it in Parliament for so many years. For years, the government denied it. Now they have accepted my point. The question remains 'What have you done so far (to solve it)?' I would like also to mention that the people of Arunachal are very patriotic; it is a positive point. It is the same thing in Ladakh and other hilly areas. We are honest, patriotic and nationalist people. The Centre today undermines the peaceful nature of these people. It may be very explosive and costly for the country if this situation goes on and if the people of the Himalayas who act as sentries for the nation, are ignored. The negative policy of the Centre should be reversed; the passive attitude should become active. Is there some understanding in the government? I am telling them: "Don't fear China, just do your job. Help the people of border areas with roads, schools, hospitals, telecom facilities." This is the solution. We do not want a war with China. Arunachal should not be the bone of contention between India and China, it should be the bridge. We have five traditional border posts with China (Tibet), it should be reopened. There should be more people to people contact. Some ten years back I visited Arunachal. At that time, there was talk of opening the Bumla Pass for trade. What is the position today? Today there is a fear psychosis vis-a-vis China. India wants only sea trade with China. India thinks that if we have a land trade relations, Chinese goods will flood the Indian market. Look at Nathu-la (in Sikkim), it was opened two years back, nothing happened. We have to increase the volume of trade. Even in the case of Nathu-la, India curtailed the process by not putting in place adequate infrastructure. On the Chinese side, there is good infrastructure, on our side, there is very little. It means that India is not interested in border trade. These are negative policies which have to be reversed. The problem is that India is obsessed with America. All the brains of the ministry of external affairs and the think-thanks in India are obsessed with two countries only: The US and Pakistan. How many people know about China, whether it is in the defence or intelligence fields? India does not understand what China is. It is changing in rhetoric only, not substantially. I was accused of being obsessed with two countries only. Why should we pay so much attention to Pakistan, a small neighbour? Just forget it! We can just have normal relations with them. What is the point of spending so much time, energy and brains on (this country). In India, all parties except the Communists are in favour of a strategic partnership with the US to contain China. It is fine, but on the other hand, we are not brave enough to tell China what are our sovereign rights. On one side we are appeasing China, on the other side we want to contain them. Our policy is without any clear direction. Now, India speaks about 'looking east', for closer relations with other Asian countries, but we remain obsessed with the US. Our ties with the US should not hamper our relations with China. If we don't know about our adversary, we can't face it. You have to know their strength, their weakness, their plans, if we don't know this, how can we deal with them? Let us continue to have good relations with the US. But why be obsessed with them? While news in Washington or Lahore make headlines here, nobody knows about the border areas. Ask any Union minister or Member of Parliament, where is Tsona (the Chinese town/district headquarters north of Tawang), nobody knows. We should realise that if we lose Arunachal, we can forget about Kashmir. Look at the map of Jammu and Kashmir. Half is not in our possession (Aksai Chin, Azad Kashmir, etc). Within the other half, half is Ladakh and one third Jammu. What is left is an 80 km valley between Anantnag and Baramulla. But this small territory (12 percent of the state), but it takes all the energies of the politicians and our resources. For, 60 years our minds have been devoted to this small area. At the same time, it is very unfortunate that a state of 84,000 sq km with the potential to provide 30 percent of the nation's energy is today ignored. It is unfortunate and it frustrates our youth. Don't forget that Kashmir is claimed by a small country which does not economically or militarily match India, while Arunachal is claimed by a nation far superior to India. In India today, politicians and journalists seem confused. They don't understand the background of the border issue. India says it has a problem constructing roads to the border, but in 1962, the Chinese manually built roads (in Arunachal). In three weeks, they built 30 km of roads south of the McMahon Line. The British left us with some roads and a railway network. We have not able to expand it after Independence. Take the railway line in Assam, it was there in the British times, nothing new has been built for 60 years. Same thing in Darjeeling, Simla or Ooty! Today, we are not asking India to built railway lines at altitude of 15,000 feet like the Chinese have done (in Tibet), but at least they should do it to the altitude of 4,000 or 5,000 feet. I am very disappointed with our successive Union governments. Any party that comes to power is a complete disaster for the Himalayan belt, especially for Arunachal. I was told that if you make an ISD call from Tawang, the person who receives the call abroad sees the code of China on his phone. Can you confirm this? It happens not only in Tawang, but also on the Bangladesh border, in Meghalaya. There you use the Bangladesh network, since BSNL is not there. The problem is that there are too many restrictions in India. It is what I call negative policies not to develop border areas. So there are no roads, no mobile phones, no televisions, no infrastructure. This is the mindset of our country. On the Chinese side of the border you have this airport which will receive 5,000 tourists a day to visit the gorges of the Brahmaputra and on the Indian side you have a drastic 'Inner Line Permit system'. What are your comments? We have too many restrictions, it is unnecessary. We should open up. It shows a lack of confidence. Do you think that the young generation of parliamentarians or bureaucrats can change this mindset? As a Member of Parliament, I have done enough, I have tried everything, but the response is not enough. Before I came to Parliament, my predecessors were silent. As you know Parliament is a very noisy place. Usually people from the northeast are calm, gentle, but I am of a different breed. I speak, shout, come down to the well (of the House), I make my point. Now people know about Arunachal, but what the government does is another thing. They are too busy with political problems, which are not national problems. It is eating the mind of the leaders and the real issues remain unsolved, unattended. My article The Advancing Borders of the Chinese Empire is posted on the website of the Indian Defence Review. A few days later, the issue came to the Parliament. As the Migyitun/Longju skirmish was being discussed, Nehru’s Government was also asked about a road supposedly cutting through Aksai Chin in Ladakh. For the first time, Nehru conceded that China had built a road. However, he explained that although Indian maps showed the area within India’s territory, the boundary in Ladakh was not ‘defined’. He stated, “Nobody had marked it.” The Prime Minister added that Delhi was prepared to discuss specific areas ‘in dispute or as yet unsettled’, though not the ‘considerable regions’ claimed by Chinese maps. 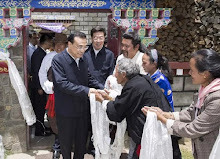 The Aksai Chin was definitely Indian territory though the area was “Very remote and uninhabited”, said the Prime Minister who, on March 22 that year, had written to Premier Zhou En-lai on the subject. Nehru could not escape and remain vague as he had done in the past. He had to make a detailed statement; he even agreed to release a White Paper on the border issue. 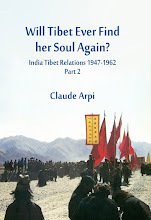 Nehru admitted that the boundary in Ladakh was not sufficiently defined and that Aksai Chin was a “barren uninhabited region without a vestige of grass”. He further confessed the road was, “an important connection” for the Chinese though in any case, in comparison with the NEFA, the dispute over Aksai Chin was a “minor” thing. India was, however, prepared to discuss the issue on the basis of treaties, maps, usage and geography. It was a real bombshell for India. The cat was out of the bag! A Chinese Train to Lumbini? One more instances of China dictating the foreign and defence policy of Nepal. AsiaNews reports that China has asked Nepal to close its military training facilities in the former kingdom of Mustang due to the presence of too many foreigners. 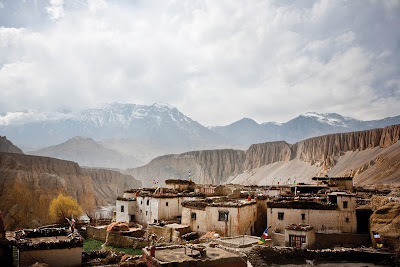 The Nepali training centre which is located in Mustang, close to the border with Tibet, had been the headquarters of the Tibetan guerrilla against Communist China in the 1960s and early 1970s. 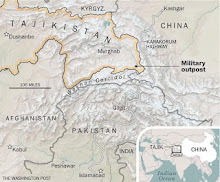 According to Asianews: "Beijing is concerned about the presence of officers and soldiers from other countries, and points out that the CIA provided aid to Khampa rebels from this district. Nepal appears ready to accommodate the Chinese, but its army offers alternative solution." Seven foreign nations are currently trained in mountain warfare the military facilities in Mustang District. Beijing is deeply concerned about the presence of foreign personnel close to its border, pointing out that "several anti-Chinese actions began in the area". The agency reports that the Nepali authorities appear inclined to listen to Beijing's demands "since China has become the country's most important economic and trading partners". In 1990, the Nepali Army opened military its facilities to foreign troops and officers, including some from the United States, India and a few European countries. The objective was to train the troops in a high risk mountainous area. Mustang was 'perfect' for unconventional war games. But Beijing still remembers the Khampa fighters who from their bases in Mustang attacked the Chinese convoys in Tibet in the 1960s; at that time, the Tibetan freedom-fighters were financed by the Central Intelligence Agency. Though the Nepali government in Kathmandu appears willing to bend once again to Beijing's demands, it is not the case of the Army. Defence Minister Atma Ram Pandey 'understood' the Chinese request, he stated: "The presence of foreign troops in such a sensitive area may not be appropriate for our country's security," however, under Nepal's new Constitution, the Army may not to submit to the government's decision. Army spokesman Jagadis Chandra Pokharel said: "We are aware of the Nepali government's concern and of the strategic importance of the training centre in the area," adding: "We have requested our government not to stop the training but rather monitor the activities of foreigners to ensure that nothing is done against the security of the country." The pressure of Beijing is bound to mount in the months to come while China will continue to be very 'generous' with Nepal. A railway line to Lumbini? According to the Nepali publication,The Republica, Luo Sang Jiang Cun (Chinese name of Lobsang Gyaltsen), chairman of the Tibet Autonomous Region (TAR) assured Nepali officials visiting Tibet that China would expand a rail service to Nepal, once the train reaches the southern city of Shigatse. Gyaltsen made the commitment during a meeting with the visiting Nepali Chief Secretary, Leela Mani Poudel in Lhasa. The Nepali delegation had come to participate in the '14th Nepal-China´s Tibet Economic and Trade Fair - 2013' in Shigatse. The Nepali delegation requested China's help for the construction of a line from Kathmandu to Lumbini, the birthplace of the Buddha near the Indian border. Quoting Lobsang Gyaltsen, Hari Basyal, the Nepalese Consul General in Lhasa elaborated: "Feasibility study is underway for expanding rail service between Nepal and Tibet. We will immediately commence the process for implementing the plan once railway line reaches Shigatse from Beijing." Gyaltsen expressed China's commitment "to extend a meaningful support to Nepal for achieving the common goal of socio-economic development." Chief secretary Poudel asked the Chinese government's help to develop trade infrastructures which are instrumental in promoting bilateral trade. Later Poudel and Ding Yexian, the executive vice-chairman of TAR inaugurated the Economic and Trade Fair 2013. Incidentally, Ding Yexian is a Chinese cadre born and educated in Tibet. His father served in the 18th Army in the fifties and later settled in Tibet. One could say that Ding is Han Tibetan or a Tibetan Han. For Nepal, there is no free meal, Poudel had to reiterate Nepal's policy of not allowing anti-China activities in its soil. He had to request the Chinese officials to increase the economic cooperation in the field of infrastructure development such as dry port facilities and expansion of road and railway networks as well as in crucial sectors of economy such as construction, energy, manufacturing, tourism and agriculture in Nepal. Ding Yexian said that bilateral trade fairs would be an important forum for enhancing trade and commercial interaction between entrepreneurs of both the countries. He expressed China's willingness to help Nepal for its socio-economic development and emphasized the need for joint efforts to fully operationalize the agreed border points between Nepal and China. According to the organizers, more than 200 representatives from 70 business enterprises, 36 observer business enterprises, and representatives of Trade and Export Promotion Center are participating from Nepal in the biennial fair. Similarly, around 200 participants from Tibet are showcasing their products in the five-day event. In the present circumstances, it is doubtful if the training camp in Mustang will remain open for long. But more worrying for India is a Chinese railway line to Lumbini, a few kilometers from the Indian border. Chen Guanguo, the Communist Party Secretary in Tibet affirmed he will protect Tibet 'last piece of pure land on earth'. 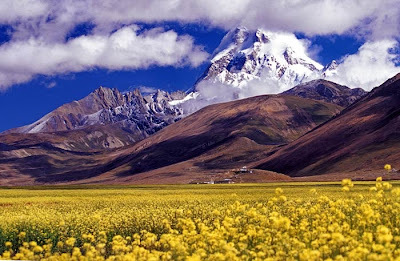 China Tibet Online reminds its readers that Tibet, The Third Pole is the waterhead of South Asia and Southeast Asia, as well as the ‘regulator’ of the climate of the Mainland 'as well as the eastern hemisphere at large'. The Chinese site, quoting the Environment Report 2012 asserts that "the water, air and soil has been kept intact in the whole region, and most of the areas have been in their state of nature with no accidents ever occurred due to major pollution. Up to now, Tibet remains one of the areas with the best environment on the globe". The Government in Lhasa conveniently forgets the wild mining projects. The Department of Environmental Protection of the Tibet Autonomous Region mentions that by the end of 2012, 47 nature reserves have been set up with the total area of 412,200 square kilometers, taking up 34.35 percent of the whole region, which ranks the first in the entire China. The Nyingchi Prefecture, north of the Indian border (Arunachal) “has been noted for its natural environment as beautiful as that in Switzerland and, and some of its villages or small towns have become hot tourists spots home and abroad, which have brought about economic returns for the local farmers”, says the China Tibet Online. Apparently, the TART government follows the principle of "development in protection and protection in development" and projects have to go through an approval mechanism before being implemented. Obviously, everything is relative and compared to other areas in China, Tibet is much better off. Emily Brill wrote an interesting piece in The Atlantic. Well, Tibet is certainly better than Beijing and other large metropolises in China, but despite Mr. Chen’s promises, will it remain so? Fifteen millions of tourists every year are a polluting factor. Uttarakhand has recently tragically discovered that eco- or religious tourism can be destructive simply because it means more roads, more hotels, more dams to provide comfort to the visitors who ‘consume’ more during their holidays, and this in a fragile environment. And what about the mineral wealth of Tibet, is Mr. Chen going to stop legal and illegal mining? And the dams on the Yarlung Tsangpo and other rivers, will Mr. Chen stop their construction? It is doubtful. In the years to come, Tibet will probably catch up very fast with Beijing and other mainland cities. In the meantime, Beijing has decided to reduce levels of atmospheric pollutants in Beijing by as much as 25 % to try to improve the air quality in the Chinese capital. In a policy document, the State Council promised that “concentrations of fine particles” in Beijing’s air will fall by “approximately 25 %” from 2012 levels by 2017, while other cities including Shanghai will see reductions of between 10 and 20 % from 2012 levels over the same period. Let us hope for the best, but wild development usually does not rhyme with ‘safe air’ and 'nature paradise'. Does history always repeat itself?